Where are the Best Seats in a Football Stadium? As many know, football is one of the most-watched sports in the world, so it is no wonder that it is a highly competitive game. The same goes for purchasing football tickets too – it is important to act quickly, to ensure you get the best seats in a football stadium. However, if you’re heading to a stadium to watch a match for the very first time, you might be wondering where the best place to purchase a seat is, to watch the beautiful game unfold. But, unfortunately there is no quick and simple answer; picking the best seats in a football stadium is entirely subjective. There are so many variables that you must take into account, as each supporter has different personal preferences about the game experience. 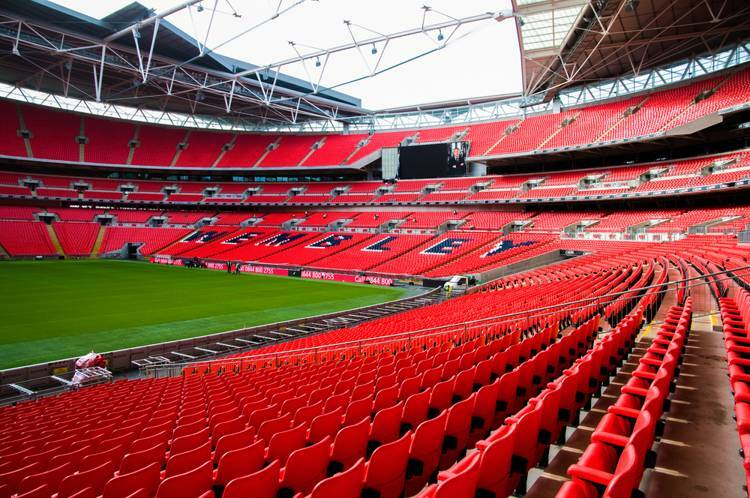 So, where are the best seats in a football stadium? 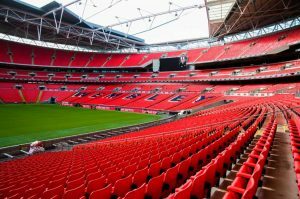 At Ticketgum, we have looked at the pros and cons of different football stadium seating positions, to help you to create an informed choice about which is the best seat to choose before you purchase football tickets. If you’re the type of person who enjoys analysing a match, the very best seat is often situated halfway up the side stand, and somewhere around the halfway line. This is the reason why most director’s boxes are situated in this position, as it gives you the clearest view of game play and you can see player’s formations clearly, whilst allowing you to fully engage with the game. 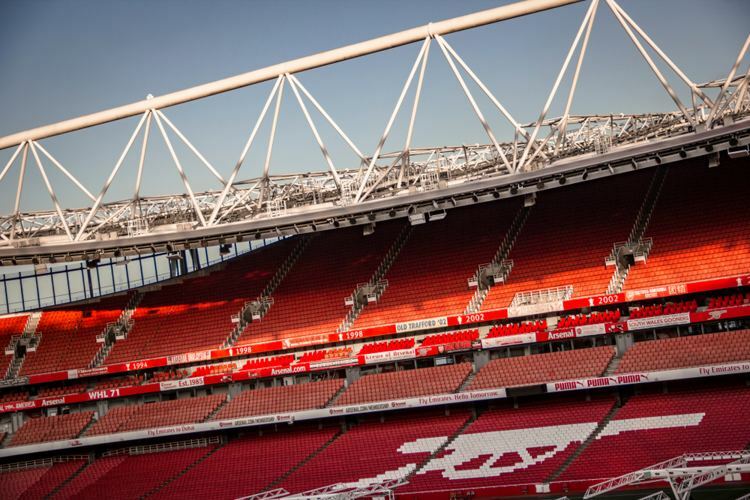 This, however, is reflected in the price, as it is one of the most expensive football stadium seats in as it is considered the VIP stands in football. 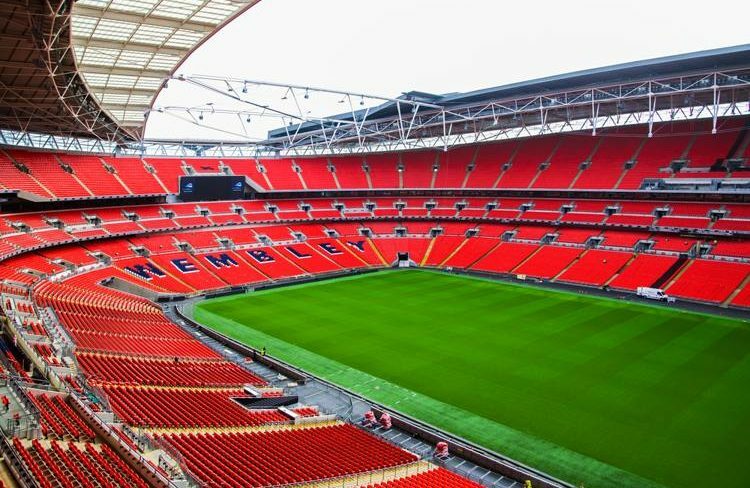 Despite the price, seats situated near the halfway line are usually the first to be sold as they usually belong to season ticket holders, or those in hospitality, as they are considered the very best seats in a football stadium. 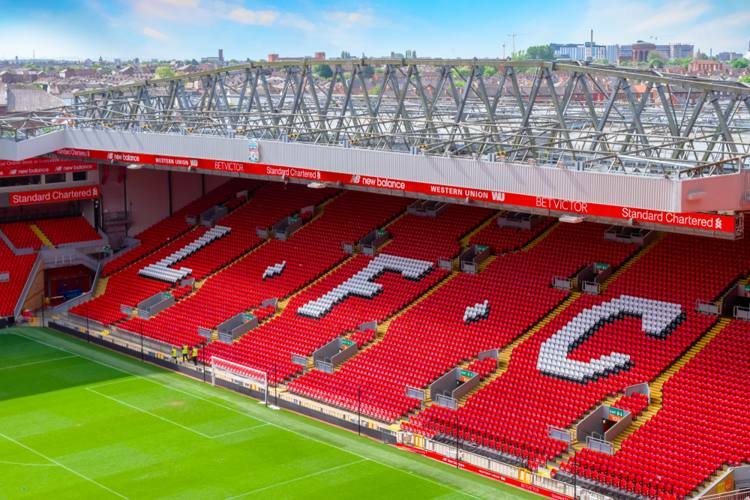 So, if you are looking to purchase tickets here, make sure to snap them up on the first day of release, otherwise it may be difficult to get a seat in these blocks – especially for ‘big’ games, such as Derby Days. 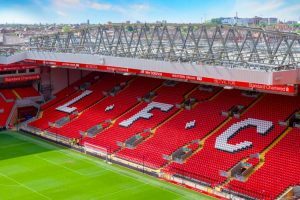 Instead, you may have to make do with seats towards the end of the side stand, where the view is considered much less desirable to fans – so it’s not the most popular seat in a football stadium as it’s harder to get a clear view of the whole pitch. The end football stands are often the cheapest seats in a football stadium, as watching from the end of the pitch reduces the depth perception of the pitch, and you may miss key events happening at the other end of the stadium – particularly when situated directly behind the goal. Despite the cheaper price tag, this is often the place to sit for passionate fans who like to get fully involved in the game and experience the best football atmosphere. Therefore, there is often a better atmosphere as the stand is significantly busier than other sections of the stadium. So, if you’re someone that likes to sing, shout and get involved in the action, the end stand will be the perfect seat choice for you. It’s worth noting that, even though you aren’t allowed to stand in all Premier League stadiums, some fans (especially those who are most enthusiastic) seated behind the goal prefer to stand, which may affect visibility from your seat. This may be something to think about if you aren’t able to stand up for a long period of time. Away fans are also often seated in the end stands, but at the opposite end of the home team’s end stand. 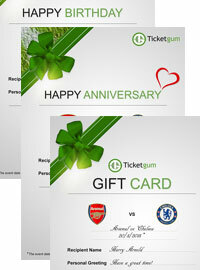 However, if you would like to be seated near the away team, to enjoy a bit of banter with supporters from other teams, then you may want to be housed directly next to them – particularly when playing a rival team, such as Tottenham Hotspur Vs. Arsenal FC, or Liverpool FC Vs. Everton, for example. 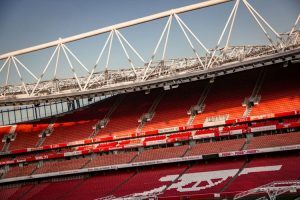 Most stadiums in England aren’t as high as stadiums found in Europe, like FC Barcelona’s Camp Nou for instance, but bear in mind that if you are too high in a stadium, it is likely that won’t feel like you are part of the experience. On the other hand, if you’re too close to the pitch, you may find you can’t see what’s going on very well. Therefore, a spot in the middle is ideal, regardless of which position you are situated in – the side or behind the goal. Cheaper seats are often found on upper levels, however this is reflected in the view, as your seat is quite far from the pitch and you may struggle to recognise players from up high. However, if you’re looking for a birds-eye view of the team and tactics, this might be the best football seat in the stadium for you. If you want to be close to the action, watching your favourite player celebrate in front of your eyes, this may be the perfect location for you. If you’re after the perfect Instagram-worthy shot or are hoping to get a glimpse of yourself on TV, this is a great spot to watch the match. If you’re going to a match that is particularly well-attended, then you might find that it’s quite difficult to get away from the ground once the game is over. Most supporters don’t want to have to leave the stadium early and miss some of the action, so it is worth looking for a seat that is close to one of the stadium’s exits. In addition, if you use the toilet regularly or would like to get a beverage at half-time, bear this in mind when choosing a seat. Plenty of football supporters enjoy a drink before and during the match, so sitting near the end of a row will help you to slip away quickly, as soon as the half-time whistle goes, before queues begin to form.